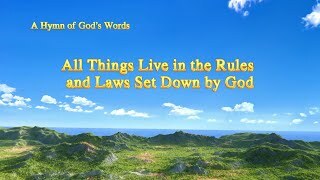 2019 Praise and Worship song | "All Things Live in the Rules and Laws Set Down by God"
A Hymn of God's Word "All Things Exist Under the Authority of the Creator"
Gospel Song | "A Different Age, Different Divine Work" | Do You Know the Work of God in the New Age? 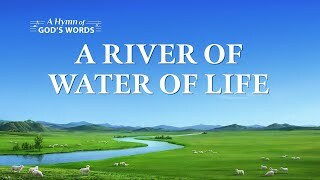 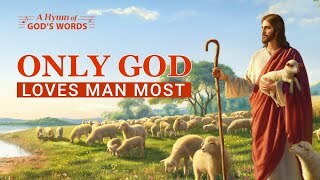 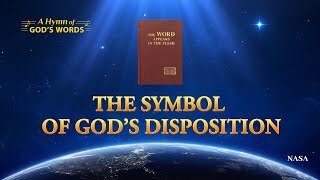 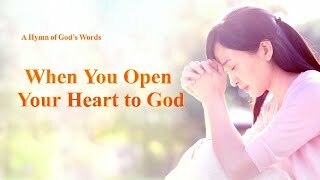 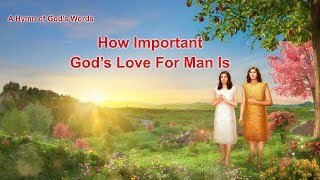 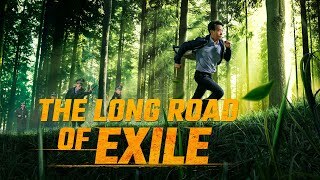 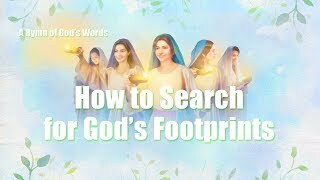 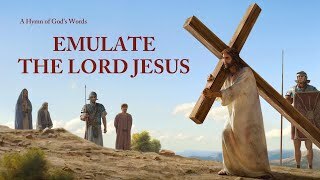 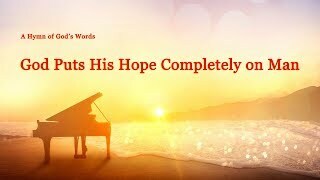 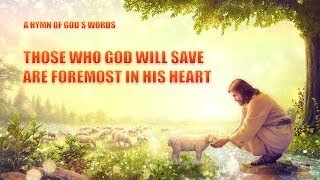 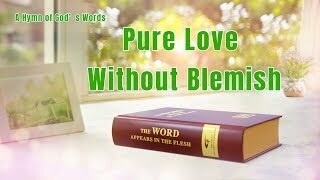 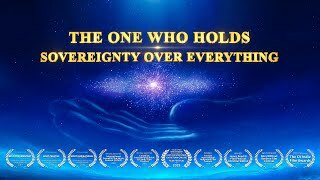 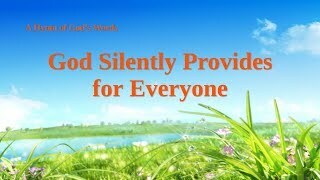 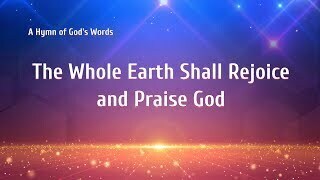 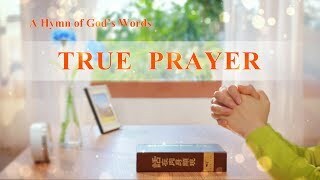 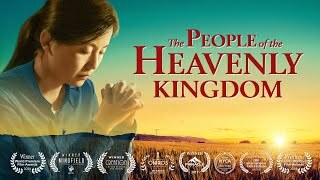 2019 Christian Worship Song | "God Is in Heaven and Also on Earth"
Almighty God Is the Lord of All Things | Christian Song "The Status and Identity of God Himself"
New 2018 Gospel Song "The Purpose of God's Management Work"
Seek God's Appearance | New 2018 Christian Song "The Incarnate God Leads Mankind Into a New Era"
English Christian Song 2018 "God Has Revealed His Entire Disposition to Man"
The Latest Message From God | Christian Worship Song "God Has Appeared in the East of the World With Glory"
Praise and Worship Song 2018 | Praise God for His Great Grace | "God's Humbleness Is So Lovable"
Christian Worship Song "God's Kingdom Has Appeared on Earth"
Christian Worship Song | "How to Know the Appearance and Work of Christ of the Last Days"
Gospel Song 2018 "All Things Are in God's Hand"
Best Christian Song 2018 "The Principles for Seeking the True Way"
Best Gospel Song "How God Rules Over All Things"
Gospel Song 2018 "Give Mind and Body to Fulfill God's Commission"
English Christian Music | "The Purpose of God's Management Work Is to Save Mankind"
Best English Christian Music "Who Has Known the God in the Flesh"
Christian Song "God Descends With Judgment"
Gospel Music "God Has Indeed Come Among Men"
Gospel Song "Only If Mankind Worships the True God Can They Have a Good Fate"
Christian Song "God Is Abundantly Merciful and Profoundly Wrathful"
Christian Song "I Will Not Rest Until I Gain God"
A Hymn of God's Words "He Who Has True Faith Receives God’s Blessings"
English Christian Song "Only God Loves Man Most"
Best Christian Song | "The Inner Meaning of the Work of Conquest"
Christian Music "God Puts His Hope Completely on Man"
English Christian Song "God Hopes That Mankind Can Continue to Live"
Gospel Music "Satan Can Change Nothing Under God's Authority"
Gospel Music "Christ's Substance Is Determined by His Work and Expressions"
Message From God | Gospel Music "Follow the Holy Spirit's New Work and Gain God's Praise"
Christian English Song | "Humanity’s Only Path to Enter Into Rest"
Christian Song | "Corrupt Mankind Needs the Salvation of God Incarnate"
Gospel Music | "God Incarnate of the Last Days Mainly Does the Work of Words"
Christian Song "None Can Do God's Work in His Stead"
Christian Song "God's Righteous Disposition Is Unique"
Christian Song "The Symbolic Meaning of God's Wrath"
Christian Song "Christ Is the Incarnate God Himself"
Gospel Music "In the Age of Kingdom God Perfects Man by Words"
Gospel Music 2018 "God Treasures Those Who Can Listen to and Obey Him"
Gospel music "God's Chastisement and Judgment Is the Light of Man's Salvation"
Christian Song "The Symbolic Meaning of God’s Wrath"
Christian Song "None Can Hinder God's Work"
Best Christian Song "The Incarnate God Silently Works to Save Man"
Christian Song "The Incarnate God Is Most Lovable"
Gospel Music "The Identity of Christ Is God Himself"
Gospel Music "God Wishes for More People to Gain His Salvation"
Gospel Music "Song of the Overcomers"
Christian Song "Only by Working in the Flesh Can God Gain Mankind"
Gospel Song "God's Name Will Be Magnified Among the Gentile Nations"
Gospel Music "The Kingdom Anthem (II) God Is Come, God Is King"
Gospel Music "The Mankind Living Under God's Authority"
Christian Song "Only by Fearing God Can Evil Be Shunned"
Christian Music "The Creator's Authority Never Changes"
Christian Song "Our God Reigns as King"
Christian Song "The Kingdom Anthem III All People, Shout for Joy"
Christian Song "In the Age of Kingdom, the Word Accomplishes Everything"
Christian Song "God Is Seeking Those Who Thirst for His Appearance"
Christian Song "The Substance of Christ Is God"
Christian Worship Song "The Significance of Prayer"
Christian Song "God's Substance and Disposition Have Always Been Open to Mankind"
Christian Song "God's Perfect Care Over All"
Christian Song "How to Search for God's Footprints"
Gospel Music "Pure Love Without Blemish"
A Hymn of God's Words "Only God Incarnate Can Thoroughly Save Mankind"
A Hymn of God's Words "Two Thousand Years of Longing"
A Hymn of God's Words "God Will Restore the Meaning of His Creation of Man"
A Hymn of God's Words "To Gain Eternal Life, You Must Know the Source of It"
A Hymn of God's Words "The Lives of All Beings of Creation Come From God"
A Hymn of God's Words "God Laments the Future of Mankind"
A Hymn of God's Words "The Truth Behind God's Work in the Age of Kingdom"
A Hymn of God's Words "True Meaning of Faith in God"
A Hymn of God's Words "Results of God's Work in the Last Days Are Achieved Through the Word"
A Hymn of God's Words "God's Love and Essence Has Always Been Selfless"
The Hymn of God's Word "The Seven Thunders Roll"
The Hymn of God's Word "The True Embodiment of the Creator's Authority"
The Hymn of God's Word "God Becomes Flesh to Save Mankind"
The Hymn of God's Word "Christ of the Last Days Has Brought the Age of Kingdom"
The Hymn of God's Word "The Work of Judgment in the Last Days Is to End the Age"
The Hymn of God's Word "God's Open Administration Throughout the Universe"
The Hymn of God's Word "He Who Is God's Incarnation Shall Hold the Expression of God"
A Hymn of God's Words "To Bear Witness for God Is Man's Duty"
The Hymn of God's Word "God's Disposition Is Lofty and Grand"
The Hymn of God's Word "The Authority and Significance of God's Incarnation"
The Hymn of God's Word "God Has Made a Group of Overcomers in China"
The Hymn of God's Word "The Symbols of God's Victory"
The Hymn of God's Word "Notions and Imagination Will Never Help You Know God"
The Hymn of God's Word "Truth Is the Highest of All Life's Aphorisms"
The Hymn of God's Word "Only Those Who Have Been Cleansed Will Enter the Final Rest"
The Hymn of God's Word "All Creation of God Must Come Under His Dominion"
The Hymn of God's Word "God's Care Is Always With Mankind"
The Hymn of God's Word "The Kingdom Anthem (I) The Kingdom Has Descended on the World"
The Hymn of God's Word "God Does New Work in Every Age"
The Hymn of God's Word "Christ of the Last Days Brings the Way of Eternal Life"
The Hymn of God's Word "When You Open Your Heart to God"
The Hymn of God's Word "Do You Wish to Know the Root of Why the Pharisees Opposed Jesus?" 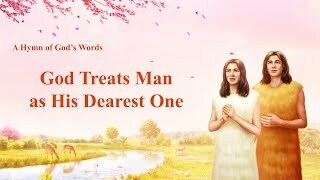 The Hymn of God's Word "God Treats Man as His Dearest One"
The Hymn of God's Word "The Existence of All Mankind Rests on God"
The Hymn of God's Word "The Work of God Continues to Advance"
The Hymn of God's Word "The Significance of God’s Managing Mankind"
The Hymn of God's Word "No Power Can Stand in the Way of What God Wishes to Achieve"
The Hymn of God's Word "The Authority and Power God Displays When Incarnated in the Flesh"
The Hymn of God's Word "A River of Water of Life"
The Hymn of God's Word "God’s Words Are the Forever Unchanging Truth"
The Hymn of God's Word "God Will Restore the Former State of Creation"
The Hymn of God's Word "The Symbol of God’s Disposition"
The Hymn of God's Word "The Main Purpose of God’s Work in the Flesh"
The Hymn of God's Word "Almighty God Has Been Seated on the Glorious Throne"
The Hymn of God's Word "The Incarnate God Is Very Important to Mankind"
The Hymn of God's Word "God’s Realness and Loveliness"
The Hymn of God's Word "The Work of the Flesh and the Spirit Are of the Same Substance"
The Hymn of God's Word "The Incarnate God Is Not an Ordinary Man"
The Hymn of God's Word "God’s Love Is Not Possessed by Any Created Being"
The Hymn of God's Word "God Is Incarnated Just to Defeat Satan and Save All Mankind"
The Hymn of God's Word "The Final Result That God’s Work Aims to Achieve"
The Hymn of God's Word "God’s Only Wish Is for Man to Listen and Obey"
The Hymn of God's Word "Only When God Becomes Flesh Can Man Be His Confidant"
The Hymn of God's Word "The Greatest Blessing That God Bestows Upon Man"
The Hymn of God's Word "Only God Has the Way of Life"
The Hymn of God's Word "God Hopes to Gain Man’s True Faith and Love for Him"
The Hymn of God's Word "He Is Our God"
The Hymn of God's Word "God Descends With Judgment"
The Hymn of God's Word "The Identity and Position of God Himself"
The Hymn of God's Word "The Words God Bestows on Men Are the Ways They Should Keep"
The Hymn of God's Word "The Significance of God’s Name"
The Hymn of God's Word "How Important God’s Love for Man Is"
The Hymn of God's Word "The Countenance of the Kingdom’s King Is Glorious Beyond Compare"
The Church of Almighty God | The Hymn of God's Word "The Effect God’s Judgment Can Achieve"
God's Promises | Christian Song "Since God Saves Man, He Will Save Him Completely"
English Gospel Song "God Is Seeking Your Heart and Your Spirit"
Praise Song "O God I Miss You Every Day"
Praise Song "I Will Repay God’s Love"
Praise Song "My Life Is Free and Released"
Praise Song "For Whom Man Should Live"
Praise Song ''Praise the Accomplishment of God's Work"
English Christian Song "God's Love Has Melted My Heart"
Praise Song "Praise God with a Single Heart"
Praise Song "Song of Heartfelt Attachment"
The Hymn of God's Word "What God Wants Is Man's True Heart"